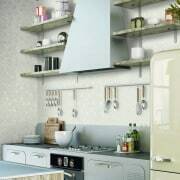 Splashbacks are important for protecting your kitchen, but that doesn't mean they can't look great too. There are so many options, you might get overwhelmed trying to make a decision. 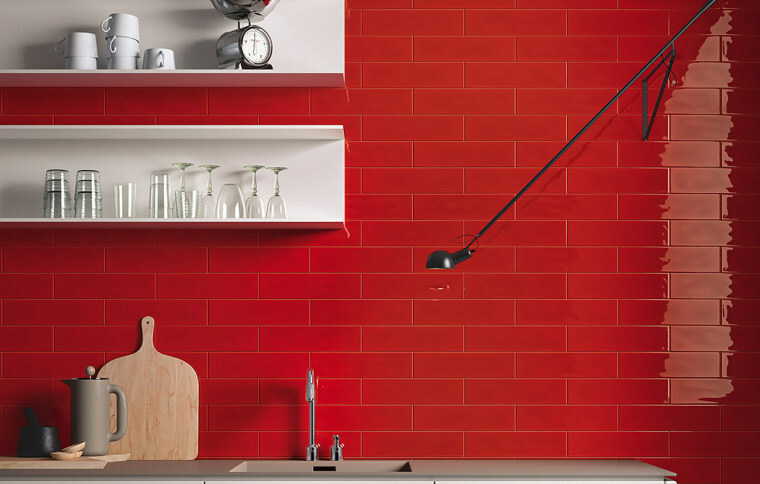 The first thing you should consider is making it match the rest of your kitchen. 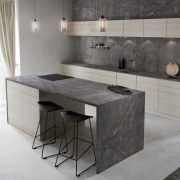 Look at the overall design of your kitchen. Is there a specific colour theme or style already in place? 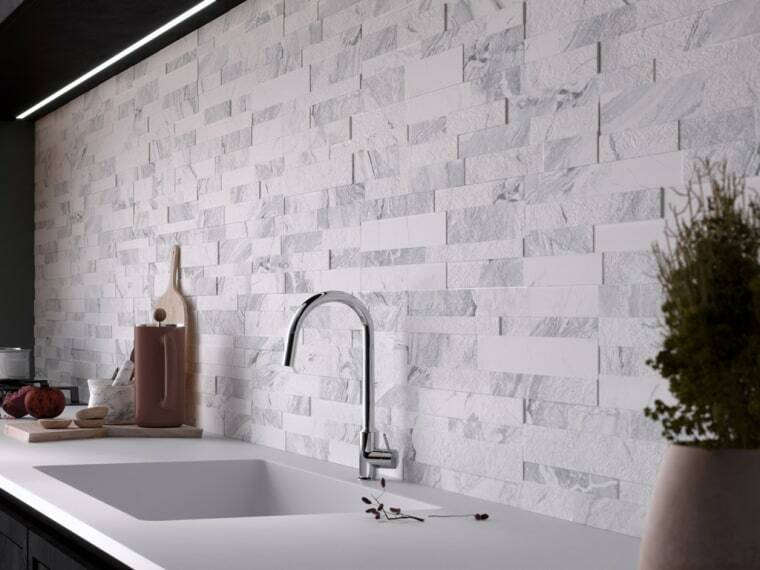 If so, you should choose a backsplash that complements it. 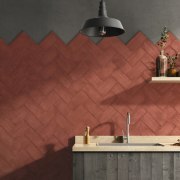 The above red tiles by The Tile Depot have a vintage effect that makes them look worn, and take on an almost terracotta tone. This fits in with the industrial greys and weathered wood finishes in the surrounding kitchen to create an edgy but rustic, lived-in look. 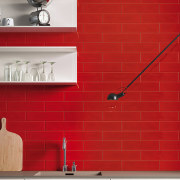 These glossy red tiles by MC Tiles are both sophisticated and dramatic. 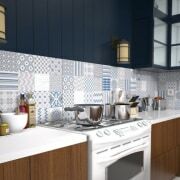 Styled with classic decor and fixtures, these tiles give a striking flare to an otherwise traditional kitchen. A bit more on the quirky side? 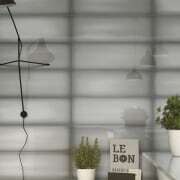 This patchwork design composed of tiles with 16 different graphics might be your cup of tea. 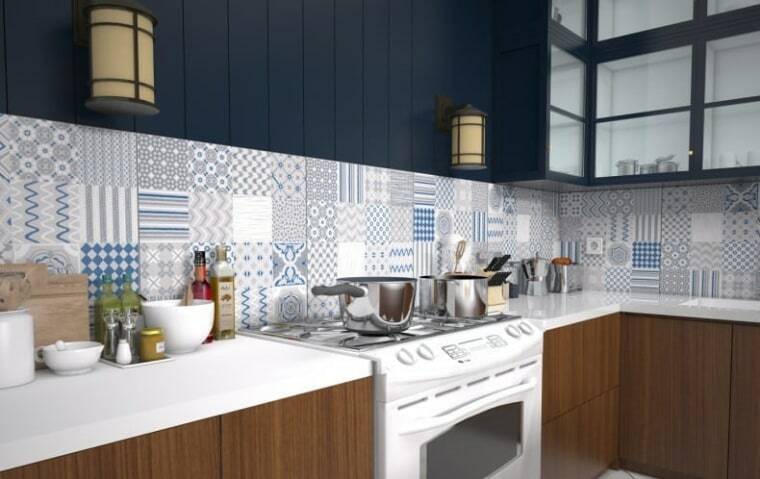 It's sure to transform your boring backsplash into an eye-catching conversation starter. 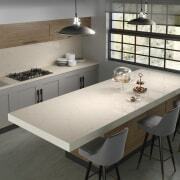 Carrying the same material from your benchtop to your splashback creates a clean, uniform look. 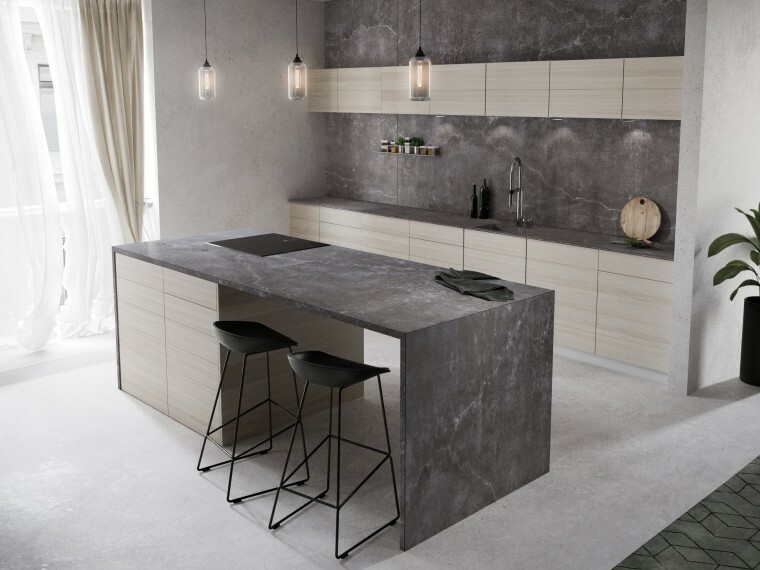 This can be seen above with Laos from Cosentino's Dekton collection. 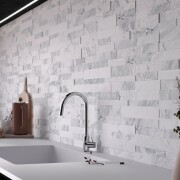 Varying thicknesses and textures give this backsplash a graphic quality that still feels pristine. 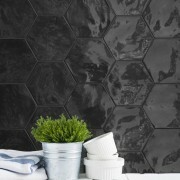 We hope this inspires you to put some flash back into your splashback.